Most of my family photos are abroad in my parents’ home and I did not really want to submit a photo of myself, here is a photo of my lovely mom, Maria Victoria, from the 70s when she was in her early twenties. 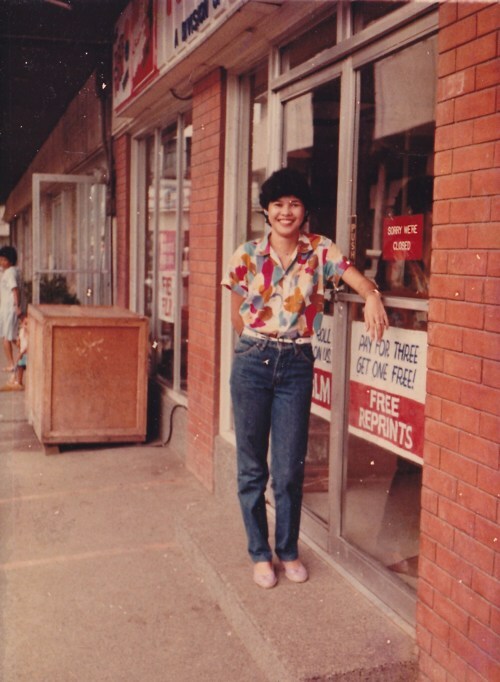 She’s standing outside her first workplace at a photofinishing/photo printing shop in the Philippines. I think the most surprising thing about this photo is how trendy her clothes seem today. I guess it just goes to show that trends really do come back around.